Get up to 7 free auto shipping quotes from the largest, most trusted Kansas auto transport companies and save up to 50% on your car shipping rates at CarMoves.com. Car shipping companies in Kansas compete for your business, which is how you can save hundreds, if not thousands of dollars on car transport services by shopping with us. Whether you're shipping a car to Kansas, across the country, or even overseas, we can help you get the best price on your shipment - guaranteed! Read more about the following auto transport companies in Kansas before getting a quote. Click on the name of the company to read a full review. Auto Transport 123 Despite Auto Transport 123's late start in the auto shipping industry, this 2010-founded company has already garnered considerable critical acclaim, such as being the year's "best reviewed auto transport company." Additionally, Auto Transport 123 includes a particularly generous $1,000,000 insurance policy on enclosed shipping. 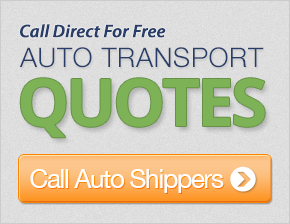 Get a free auto transport quote today to find out how much it costs to ship a car to or from Kansas! 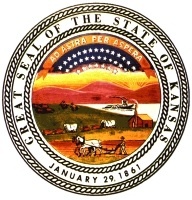 Kansas is a large midwestern state located north of Oklahoma and east of Colorado. "The Sunflower State," as it is aptly named, is one of the most productive agricultural states in the country. Primarily, Kansas grows wheat, sunflowers, and soybeans. In addition, the state also has a booming livestock industry, with cattle and sheep being the primary creatures raised there. Besides the agricultural industry, aerospace manufacturing is the state's next largest industry, with operations run by Boeing, Learjet, and Cessna in Kansas. Finally, some of the world's largest corporations have their headquarters in Kansas, including Sprint Nextel Corporation and Embarq. Kansas is a part of the US Great Plains, and exhibits fairly flat land up to the western portions of the state. The Kansas River is the predominant river in the state, which flows into the Missouri River at the state's northeasts border. Kansas residents experience the characteristically warm, though fluctuating, temperatures of the central and southern Midwest. Extreme weather, on occasion, results in tornadoes that have ravaged the state. Still, the state's sunny weather places it in the top 10 sunniest states in the country. As far as the state's urban centers go, Wichita is Kansas's most populated city, with nearly 400,000 residents in the city alone. In the previous decade, Wichita was praised for its affordability, making lists of the nation's best cities to live in. The city became known as the "Air Capital of the World" thanks to its vast developments in flight during the 20th century, and companies like Cessna and Beechcraft maintain operations in Wichita to this day. Recently, the city's downtown area has undergone some renovations, making it a hot spot for locals and visitors alike who want to see museums and sporting events. CarMoves.com works with car shipping companies throughout the state of Kansas. We can help you get the best prices on car transport services to the following cities in Kansas: Wichita, Overland Park, Kansas City, Topeka, Olathe, Lawrence, Shawnee, Manhattan, Lenexa, Salina, Hutchinson and many more. If you don't see your city listed, don't worry - we can get your vehicle shipped anywhere in Kansas. Scroll to the quote section on this page to compare free auto shipping quotes from up to 7 Kansas auto transport companies and save up to 50% on your move! View the Kansas Department of Transportation website for more information.